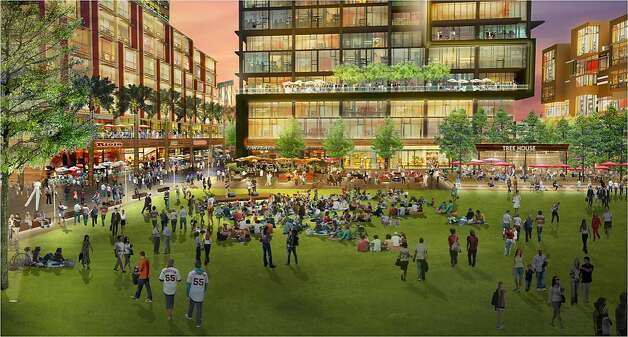 Rendering is of the Giants’ dreamed-about Mission Rock—the $1.6 billion commercial, residential, entertainment “urban village” the organization wants to develop on the parking lots next to AT&T Park. The term sheet laying out financial details will come in late February to the Port Commission, which seems ready to sign on the dotted line, the Chronicle’s John Wildermuth says. It’s another waterfront mega-project to go into the pipeline along with the Warriors’ hoped-for arena just up The Embarcadero at Piers 30-32.